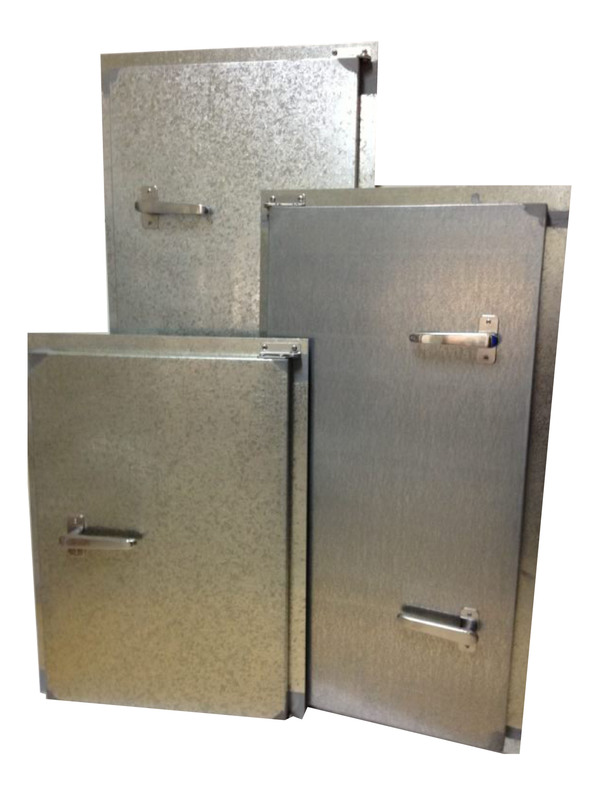 Bullock insulated access doors are designed specifically for HVAC plant room conditioner housings. 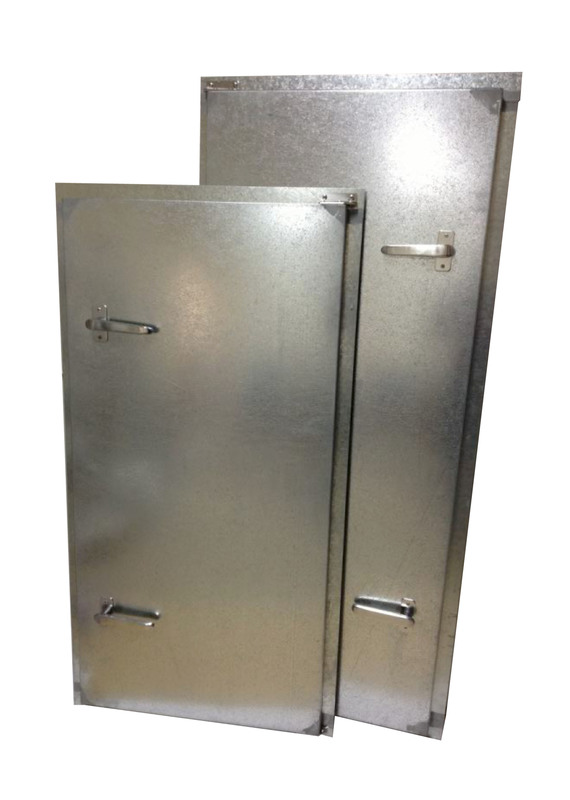 Available in 5 stock sizes these doors provide ample open area access for personnel or maintenance related equipment. Such routine maintenance would include repair of: fire, volume, non-return, motorise smoke/fire dampers, conditioner coils and filters, actuators or pumps to Australian Standard procedures. When ordering please use codes listed.